A Great Horned Owl, that’s who. At least some hikers spotted one on the Montini Preserve this week. He or she was perched in a large Bay Laurel tree just below the trail near the Red Quarry entrance (see picture). 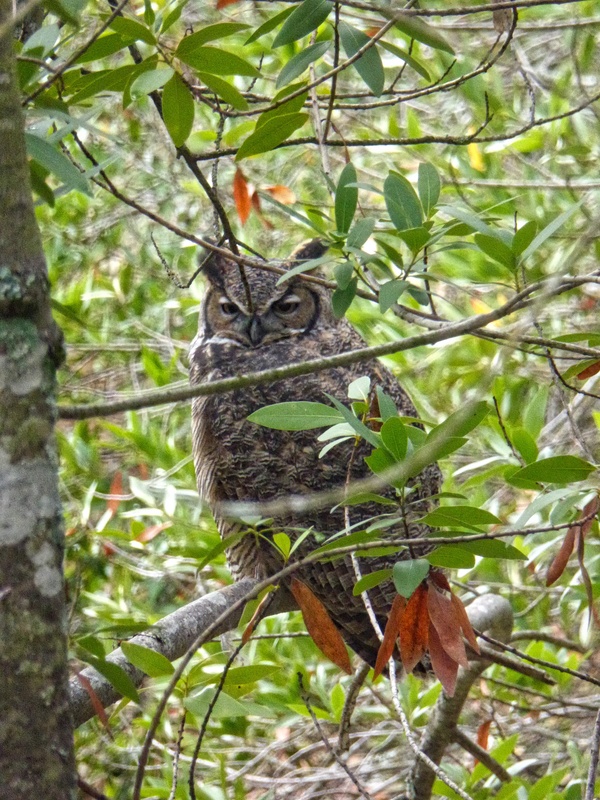 Owls are common in the forests and meadows of the Overlook and Montini properties, although sightings are not frequent. Feel free to find out more about this beautiful bird.